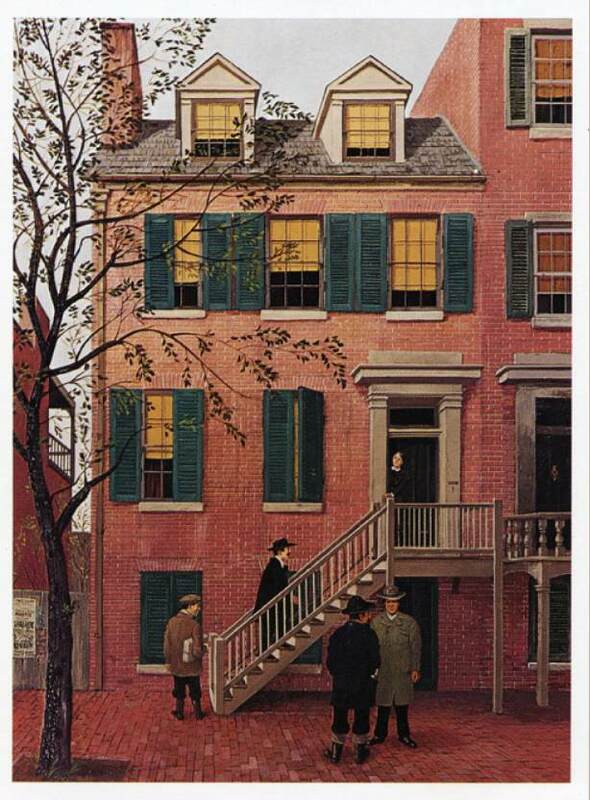 The house at 604 H Street, NW, Washington DC, was the site of a meeting of the conspirators who were responsible for the assassination of President Lincoln. Shown on the afternoon of the day that the President was shot at Ford’s Theater, April 14, 1865, are Mary Surratt, Lewis Payne, George Atzerodt, David Herold and John Wilkes Booth. All but Booth who died while attempting to escape from his pursuers, were tried, convicted and hanged July 7, 1865. The building still exists and is occupied by a Chinese grocery.